I met him at at the North Pinellas YMCA in Palm Harbor, Florida in 2001. He was there as a part of the Tampa Bay Devil Rays Community Outreach program. 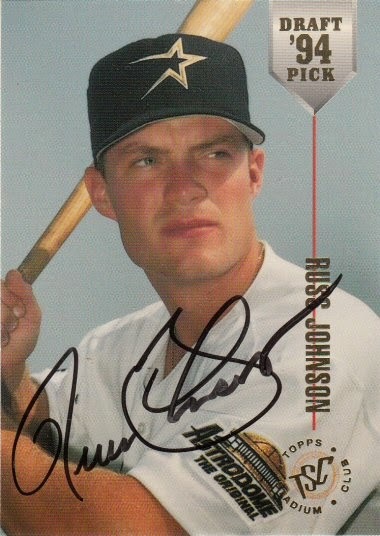 Russ signed a 1994 Topps Stadium Club Draft Picks card #15.